I received the below mentioned complimentary product for the purpose of this review. My granddaughter loves Santa but she's on the fence whether to believe or not. 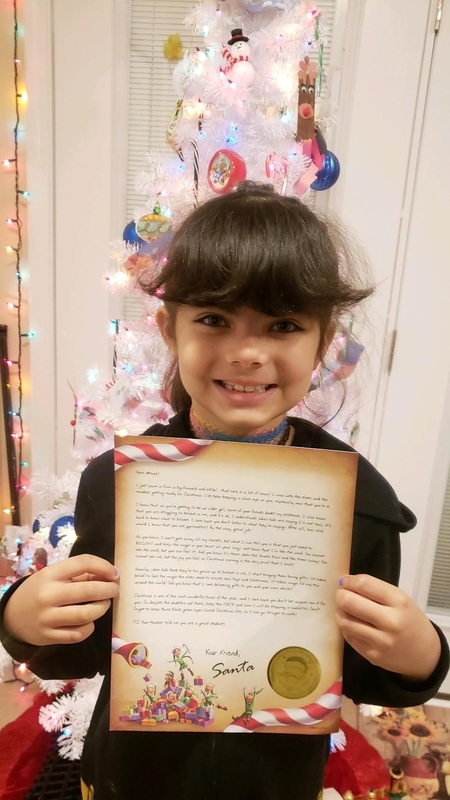 So imagine her surprise when she received the Package from Santa with her name on it. How cute is that envelope? 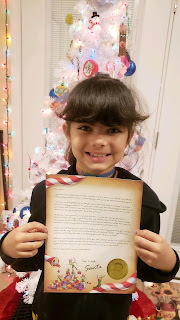 The letter from Santa is fully personalized by you. They have many different letters to choose from or you can write your own. I chose one already written and I just had to tweet it a little by adding some personal information about her. 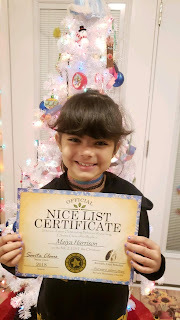 As soon as she got to the part about her being in gymnastics and even how she moved up to an advance class. He also knew her favorite food and other things! I love the gold seal is a great finishing touch! Next, she found the autographed Santa Claus photo Its a photo of Santa and Elf Patrick flying in the sleigh. It's so cute it can also be framed. If you have a little girl you can imagine the squeal she let out over this! The next thing she found was the one thing every child wants to know if they are are the Nice or Naughty List. 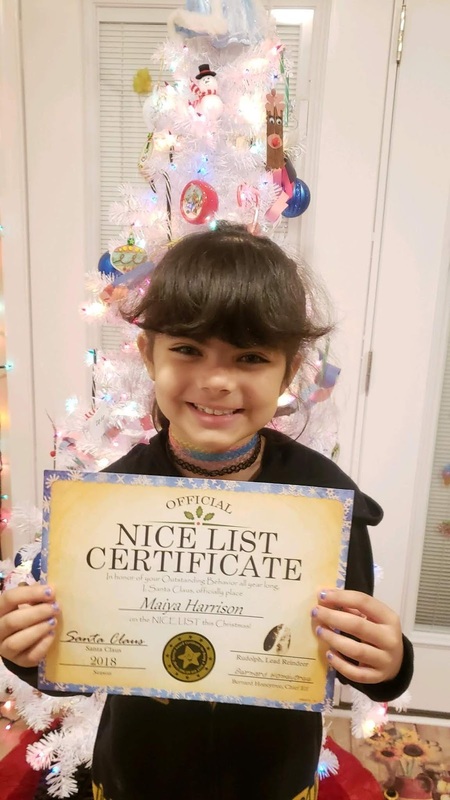 As you can see Maiya made the Nice List which is signed by Santa, Rudolph (actually his footprint lol), and Chief Elf Benard. This one we had to go and get a frame for so she could hang it up for everyone to see. I asked Maiya what she thought of the Package from Santa and she said " I LOVE IT!!! 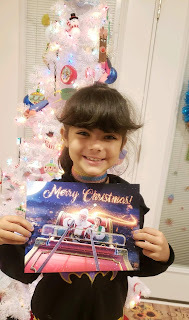 Thank you, Santa for sending it!!" There you have it it's definitely kid approved and the smile on her face in this grandma's opinion. Priceless! 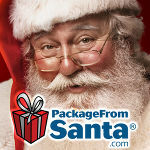 Every package also comes with a FREE personalized CALL and VIDEO FROM SANTA that can be scheduled at any time. This techy part of the PackageFromSanta.com was unreal! So surprisingly well done and high-end and my kids LOVED it! CLICK HERE to see a video to learn more about this very special Santa memory service that will be a part of my family for years to come! 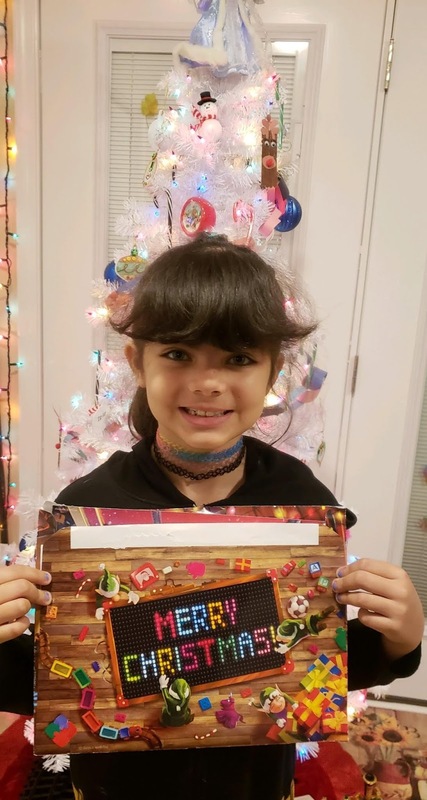 It's such a joy to see my granddaughter continue to BELIEVE and PackageFromSanta.com really helped make the magic happen in my household this year! So grateful! 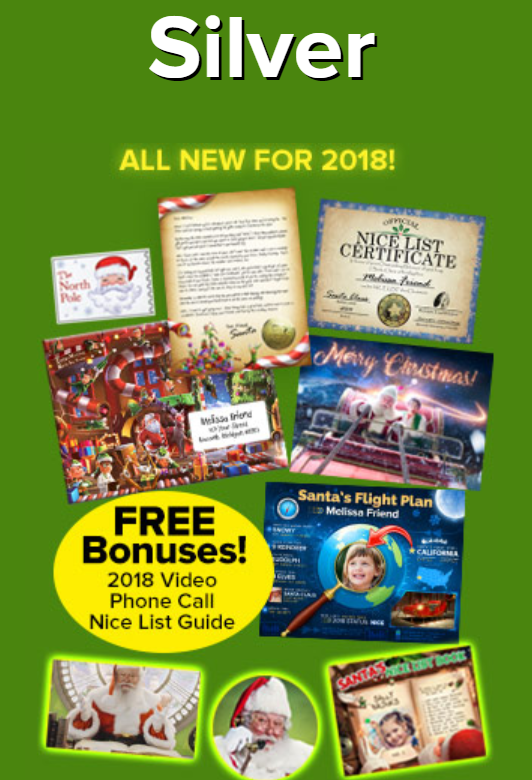 Order this holiday must-have for your child at https://www.packagefromsanta.com and save SAVE 25% Off Any PackageFromSanta.com with Promo Code: FAM2060at checkout.